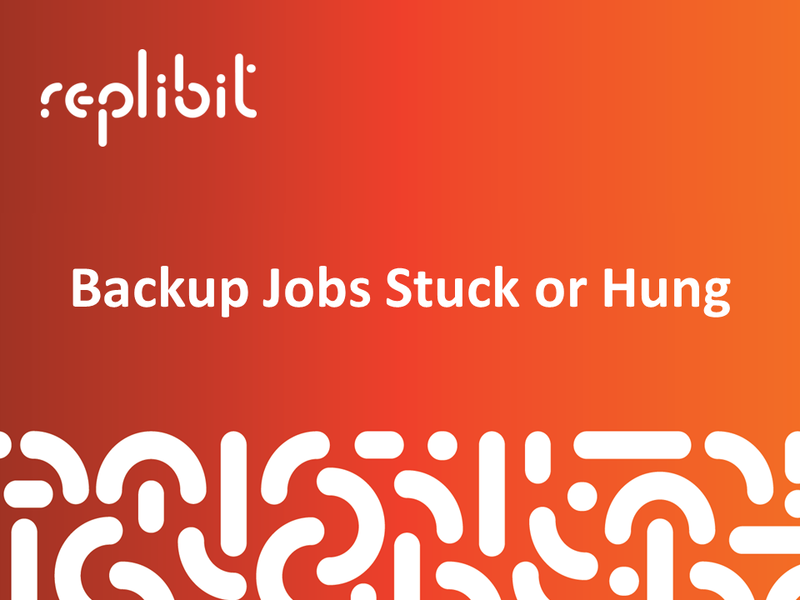 Occasionally a backup job will become stuck or appear to be hung up and not making any progress. Usually this is the result of the Appliance becoming out of sync with the Agent as to the status of the most recent backup job. The following steps can be used to force the Appliance to fail the stuck job and proceed on to the next backup attempt. e) Now start the Replibit Agent Service. The backup job will resume and then fail due to the mismatched snapshot ids. Wait for the next backup cycle or select ‘Schedule Now’ from the Protected System details page to begin a new backup attempt.